The future looks bright for Apprentice Sophie after starting her Higher Level Apprenticeship in HR Management at Blackburn College. 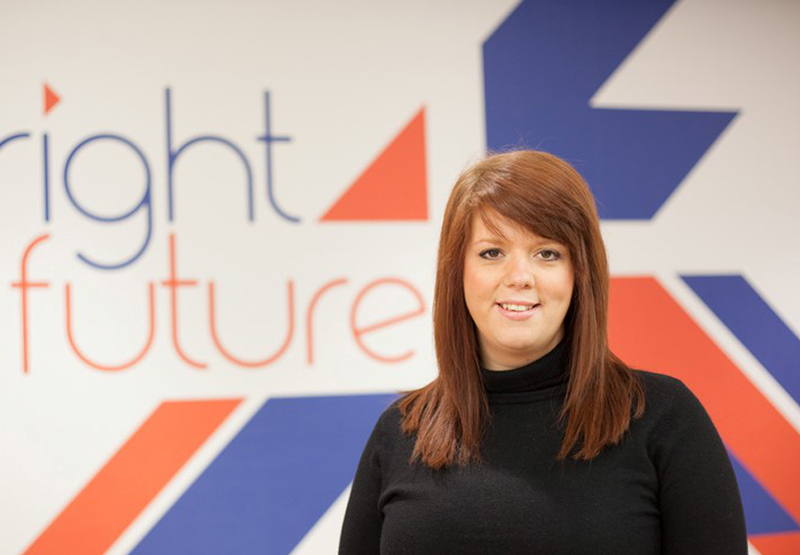 Sophie, whose experience is mainly in the recruitment industry, felt a change of career may be right for her, and applied for a job at Bright Future, a software development company in Media City, Manchester. Through this role, she had access to start a Level 5 Apprenticeship in HR Management, which she says has made her realise how valuable it is to study for an Apprenticeship.